Has your vet told you that hydrotherapy would help your dog? What kind of conditions can be improved with rehab? Orthopedic trauma, disc injuries, neurological diseases, hip dysplasia, soft tissue sprains/strains and arthritis are just a few examples of conditions improved by physical rehabilitation. Additionally, recovery from orthopedic surgeries can be dramatically enhanced with a physical rehabilitation program. Basically, any problem involving stiffness, trauma, pain, muscle atrophy, imbalance, or inflammation can benefit! Any species of animal can benefit from rehab, too. How frequently should my dog get a massage? If a dog is struggling with pain or a mobility issue, it may be best to do massage once or twice a week. For younger dogs seeking massage as a preventive measure, once or twice a month may be right. During your initial session, we will talk about a plan for your dog’s health going forward. How soon after surgery can we start physical rehabilitation? The post-operative waiting period is determined by your dog’s surgeon, based on factors such as the type of surgery. In most cases, physical rehabilitation can begin 2-6 weeks after surgery. The sooner physical rehabilitation begins once your surgeon has determined it to be safe, the faster and more effective treatment will be. In some cases, physical rehabilitation can be an alternative to surgery. Conditions that can often be managed non-surgically with proper rehabilitation include cruciate ligament tears, patellar luxations, hip dislocations and disc issues. 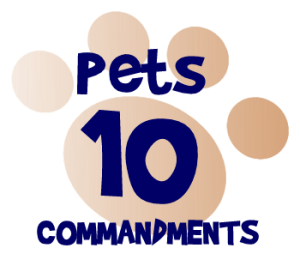 How often does my pet need treatment? We work in conjunction with your regular or specialty veterinarian. It is important for us to have a good medical or surgical history about your pet, as each case is unique. Detailed information and collaboration with your veterinarian will assist us in determining the proper course of therapy. Gone To the Dogs is a rehab-only practice – we do not provide routine or emergency veterinary care. How can you do rehabilitation without an underwater treadmill? Veterinary rehabilitation is similar to physical therapy in people, and how often have you heard of physical therapists with underwater treadmills – not often! The most important parts of rehabilitation are manual therapy (massage therapy, joint mobilizations, range of motion) and targeted therapeutic exercises. We work on reducing pain and inflammation, strengthening muscles, and reducing compensation using these methods. Too often people think that the underwater treadmill is like magic pool and by putting their dog in it he or she will automatically get better. There are definite benefits to the underwater treadmill, but by no means is it necessary to have one to do a good job.